On May 5, 2015 I was in downtown DC and happened to see a blue manila folder sitting left on a concrete raised 3 foot high block in front of the apartment. Intrigued, I exited my vehicle and opened it, it was a "Cyber Range EoA Study Guidance Summary Overall Classification: Secret". At FedEx I made a copy of the document. The media do not necessarily tell your what to think, but they tell you what to think about, and how to think about it. -- Robert McChesney. That same day, I took the original color document to the Washington Post. The security guard at the entrance, a fat black former military man, was hostile saying that I should drop it off at the post office. The woman security guard told me to drop it off at the back at the mail room. I could not find the back of the building so I returned. The black man threatened me with trespassing. The black woman guided me to the back of the building where the mail drop was located. I also recorded the mail room woman Miss Pollard in the back of the building taking the document and telling me the name of the editor, Martin Barton, who she promised she would give it too. 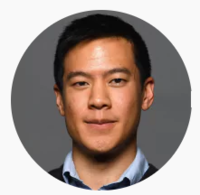 That same day I had an Uber ride with a USA Today Reporter, followed immediately by Brian Fung brian.fung@washpost.com who was going to the Federal Trade Commission (FTC). I explained the whole story and got Fung's business card. Fung promised to respond to my e-mail. I then emailed foreign@washpost.com and Fung and received no response. I scanned the copy I made and moved to Russia in September 2015, while seeking political asylum in Mid 2016, I emailed the document to wikileaks and also to the Russian Federal Security Service (FSB), Russia's CIA/Mi5.